Pacmin Auction – Bid Today to Support the Foundation! The Inaugural ISTAT Foundation Gala – Register Today! ISTAT Internship Portal – There’s Still Time to Post Positions! 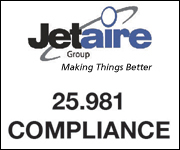 Reach ISTAT members with Jetrader! 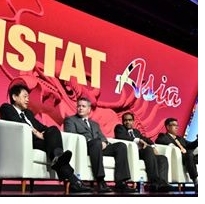 ISTAT Asia kicks off in just a few short weeks. More than 750 industry leaders are expected to attend the event, which has grown consistently every year since its inception in 2011. The conference gathers a who's who of experts to provide much-needed insight into the continually growing Asia-Pacific market. The agenda includes a lengthy list of industry veterans, along with some new faces as well. Be sure to check out the event schedule ahead of time and plan to join us in Singapore. In addition to an already-packed lineup of keynote speakers and moderated panel discussions, numerous networking events are available for attendees. Be sure to take advantage of these events as a means to connect with longtime colleagues and forge new relationships. Click here to view the full slate of networking events. 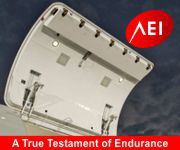 ISTAT is pleased to once again offer two special events for ISTAT members at the 2018 Farnborough International Airshow. Registration opens next week. We hope you will join us. ISTAT is pleased to announce these new and returning members. Learn more about each member and connect with them by accessing the ISTAT Member Directory. Congratulations to these ISTAT members on their new positions. 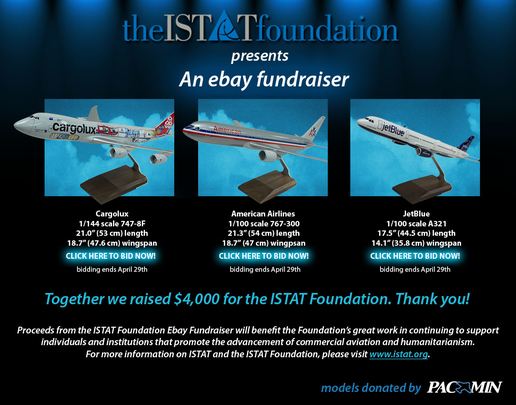 Support the ISTAT Foundation by bidding on rare PacMin models including a 747-8F Cargolux and 767-300 American Airlines! The auction starts today, Thursday, 19 April at 9:25 CDT and will end on Sunday, 29 April. Click here to access the PacMin eBay auction page. All models are donated by PacMin. The Inaugural ISTAT Foundation Gala will take place on Monday, 4 June 2018 at The Ritz-Carlton in Chicago. Table sponsorships are available for $7,500, and individual tickets are available for $250. Please visit foundation.istat.org/Support/Inaugural-Gala for more information. The ISTAT Foundation will host a golf tournament on Tuesday, 5 June at the Harborside International Golf Center in Chicago. Interested in attending or sponsoring? Please visit foundation.istat.org/Support/Chicago-Golf-Tournament for more information. The application for the 2018 ISTAT U 2.0 program (online version) is now available to qualified, current students at universities around the world. 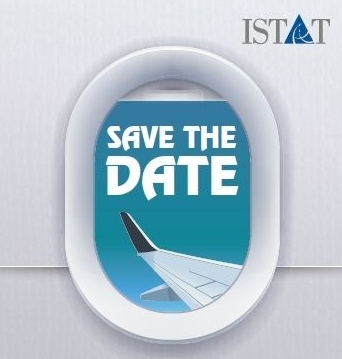 ISTAT U is a specially designed, one-year (six-credit-hour or global equivalent) aviation finance and leasing program. Admission requirements and application instructions are available at www.istat.org/istatu. The deadline for students to apply for enrollment is Friday, 31 August. The ISTAT Foundation offers grant funding to non-profit organizations around the globe that advance commercial aviation. Do you know of a qualified candidate? Contact istatgrants@istat.org. The deadline to submit applications for the 2018 program is 1 May. ISTAT member companies are invited to post summer or graduate internship positions on the ISTAT Internship Portal. The Foundation’s Internship Program acts as an intermediary between ISTAT member companies and students seeking aviation internships. Through the use of our web portal, qualified students and employers are able to match the right skills, background and interests with corporate internships. Placed interns who qualify will receive a stipend from the Foundation to cover qualified housing and travel expenses of up to $2,500. Questions? Contact istatinternships@istat.org. As part of ISTAT Asia, the ISTAT Appraisers' Program will again offer the pre-conference Appraising 101 program for those interested in the practice of appraising or who would just like to know more about appraisals and what they mean. Plan to attend this event Tuesday, 8 May from 15:00 – 17:00 in Millenia 6 at The Ritz-Carlton, Millenia. Contact Samantha Kirby at skirby@istat.org to register. 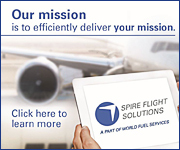 As engine experts and world leader in independent engine services, we focus on maximizing your earnings and optimizing costs during the lifecycle of the engine and beyond. 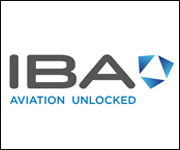 With decades of experience we offer tailored solutions emcompassing innovative MRO services, integrated leasing and best-of-breed asset management. There is always a better solution for your engines. 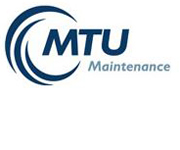 MTU has it. Building on momentum established in the event’s first two years, ISTAT members gathered in Bogotá for the ISTAT Latin America Forum on 15-16 November at the Hilton Bogotá. This marked the event’s first trip to Colombia and the third consecutive year of increased-attendance figures. With 226 individuals registered for the event in 2017, the event is steadily growing from its initial number of 158 registrants for its debut in 2015. Click here to revisit ISTAT's trip to Bogotá with Jetrader's full recap. Advertising space is still available in the summer 2018 issue of Jetrader magazine. This issue will feature a full recap of the activity at ISTAT Americas and ISTAT Asia. The issue will also take a look at the freighter to conversion market, in addition to a host of timely and useful content. For year-round access to ISTAT members, please reference the advertising opportunities available through ISTAT and Jetrader by clicking here, or by contacting: Erik Henson, Jetrader media director at +1 352-333-3443 or ehenson@jetrader.org. ISTAT media allows you to enjoy direct and targeted access to more than 4,500 C-suite executives, vice presidents, chairmen, partners, principals, presidents, marketing/sales directors and managers within the global aviation community. Jetrader, ISTAT's official magazine, is circulated to ISTAT members on a quarterly basis. Each issue of Jetrader highlights industry news and case studies and contains feature articles and member spotlights. 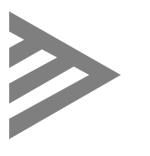 We are now accepting article submissions for 2018. If you are interested in sharing your expertise and contributing to the content of Jetrader, please contact ISTAT at istat@istat.org. According to recent estimates, Middle East carriers reported a 3.4 percent demand increase in February 2018, when compared against the same month the previous year, with capacity rising 3.9 percent and load factor slipping 0.3 percent in February, as well. 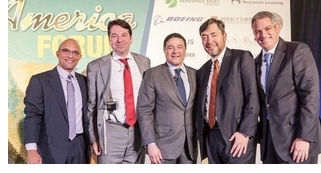 According to recently released figures from the International Air Transport Association, global air passenger growth rebounded in February, with Latin American and domestic Indian carriers posting some of the largest gains. By incorporating cutting-edge technology, as well as creature comforts like expanded leisure facilities, Asian airports are making a conscious effort to attract new travelers by "creating airport terminals that are destinations unto themselves."